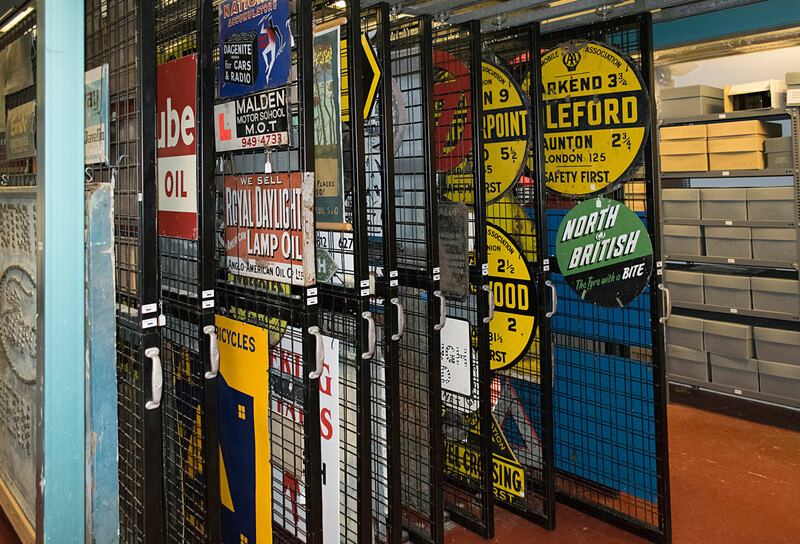 The National Motor Museum collects objects associated with motoring on the roads and race tracks of Great Britain. 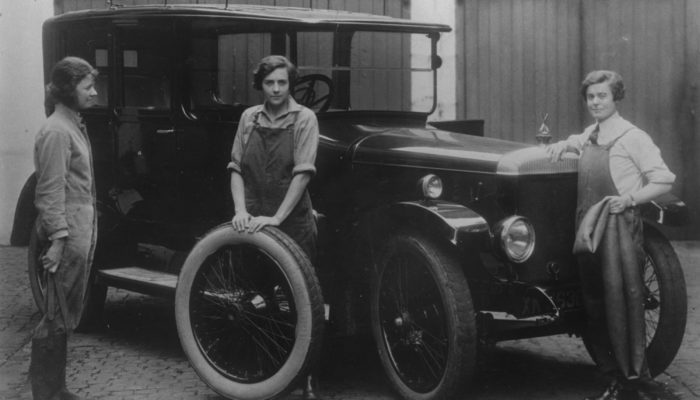 With so many historic vehicles to care for, we also collect objects specifically associated with each of them, including trophies relating to events they have taken part in. 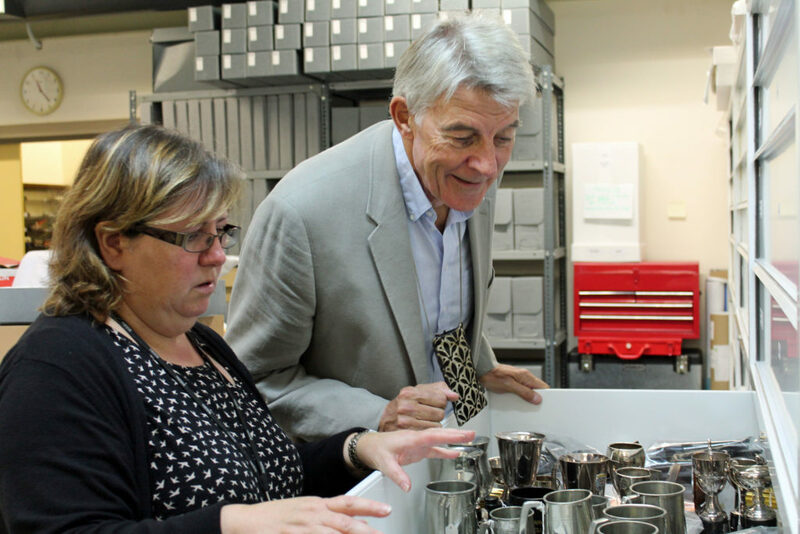 We currently hold around 46,000 objects, some of which are on display at the National Motor Museum or loaned to other museums. 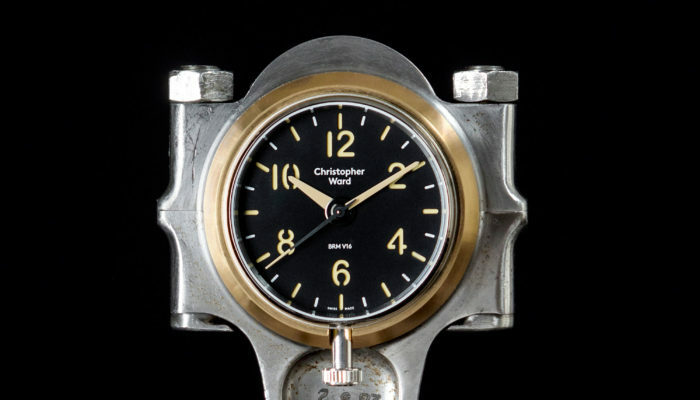 From spark plugs to petrol pumps, the Object Collection represents the social history of motoring, in addition to the design and technology aspects. 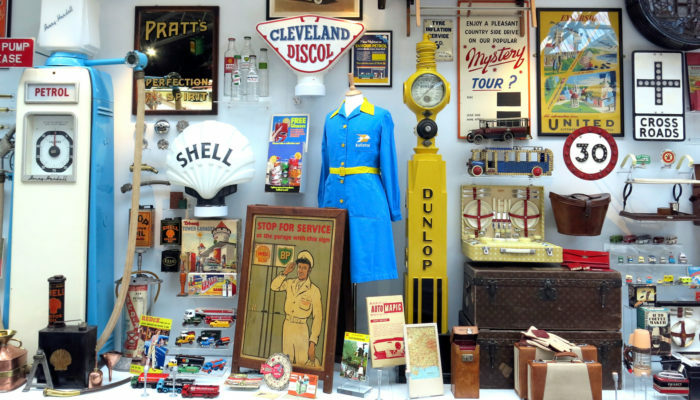 The items are so varied that they can be used to tell an almost endless number of stories about road vehicles and how they have affected our everyday lives. 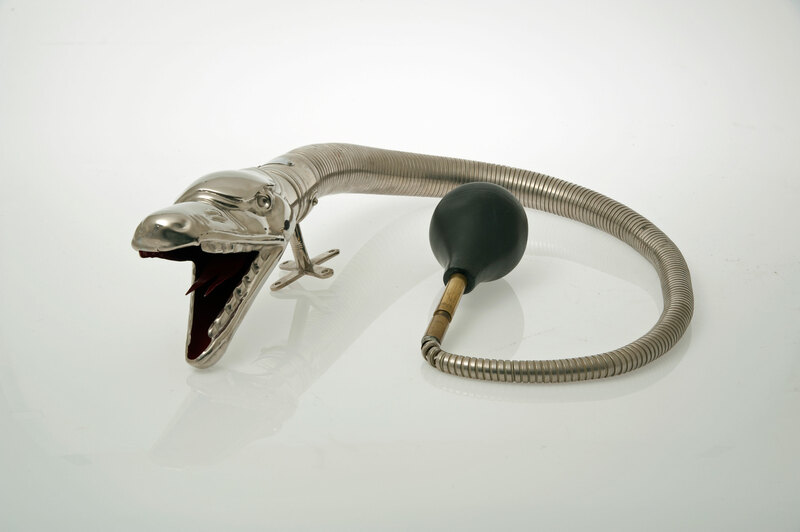 There are vehicle parts and accessories, including rare and beautiful mascots, lamps, instruments and fancy coiled bulb horns which look like silver snakes. Motoring art and graphic design is present in the form of paintings, prints and posters. Way-finding increasingly relies on satellite navigation today, but our motoring maps show how Britain’s busy roadways have expanded over time. 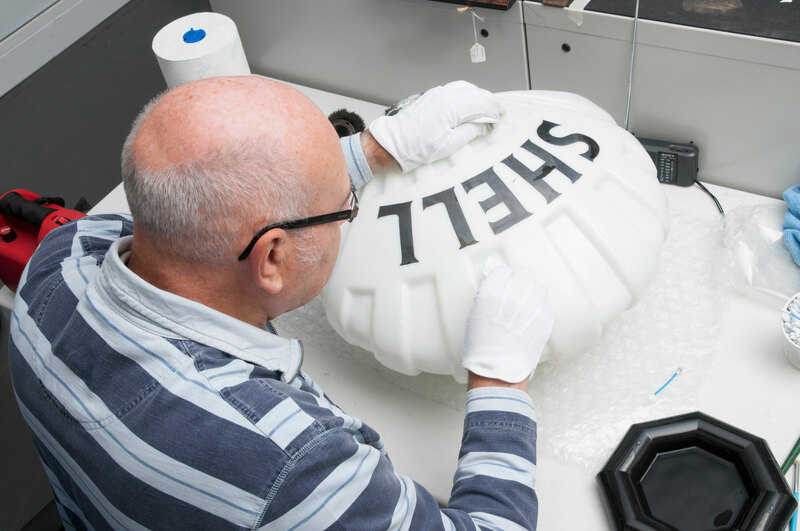 Fuelling and maintaining our cars and motorcycles remains a vital part of motoring and the Object Collection shows how we have achieved this over the years, with petrol cans, oil bottles and an assortment of weird and wonderful tools. The legal history, safety and traffic management aspects of motoring can be illustrated with our driving licences, cat’s eyes, parking meters and road signs. 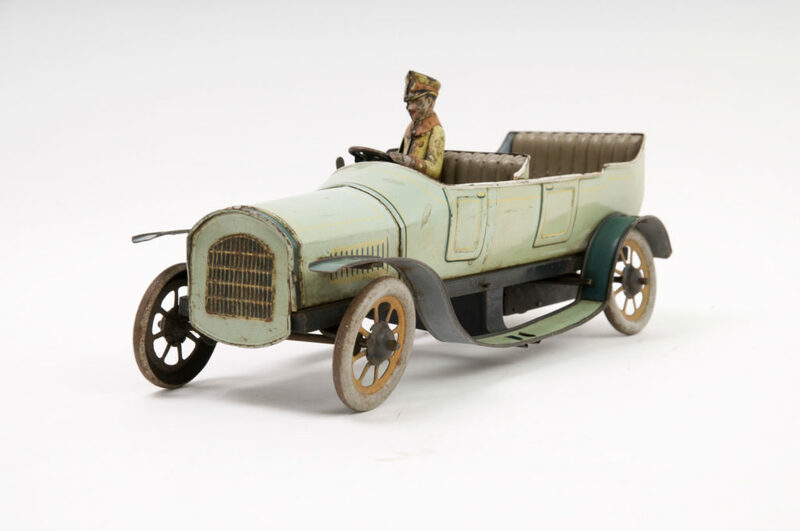 More recently we have been developing the family and popular culture aspects of the Object Collection, with a focus on motoring related games, toys and children’s books.